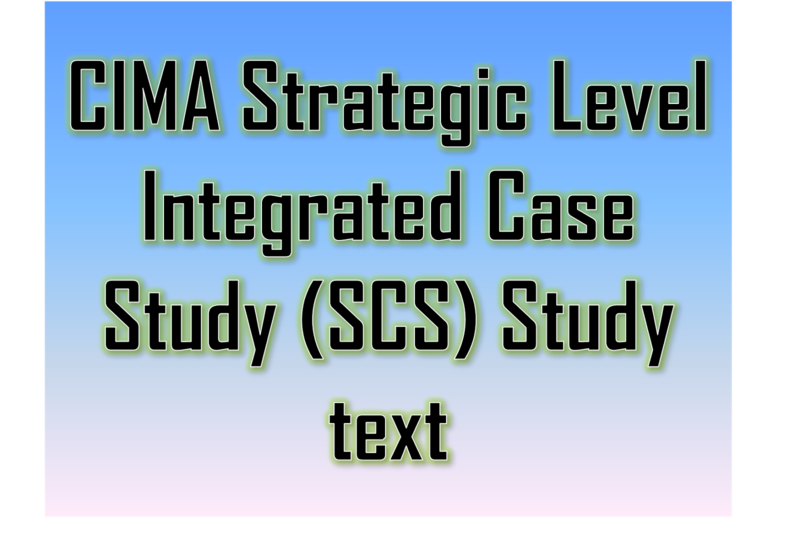 11 - How is the Strategic Case Study Exam marked? 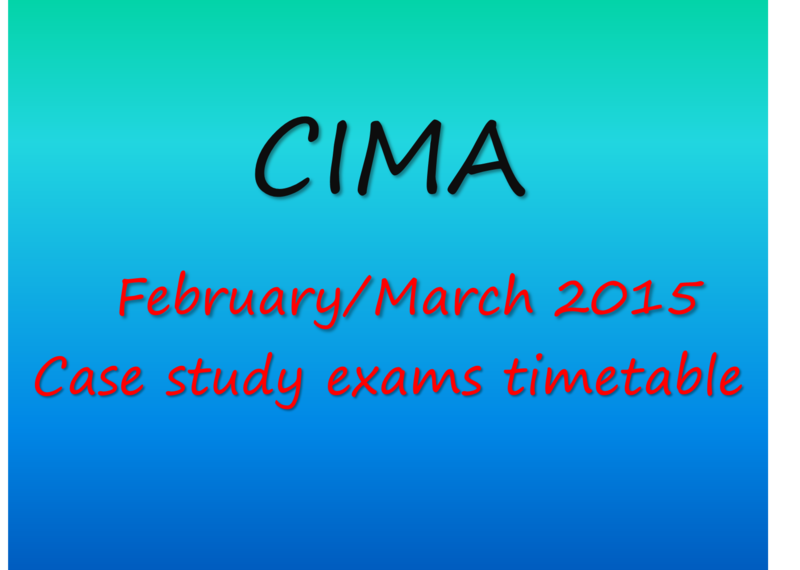 CIMA Students are now able to schedule (book) 2015 professional qualification objective tests and case study exams, certificate in business accounting exams, and Islamic finance exams, all through using this method. To Log in you need your CIMA contact ID and password, which you receive when you register with CIMA. Make sure your details are up-to-date on your MY CIMA account. You won’t be able to schedule an exam if you have any outstanding payments yet to be made. You can select whether you would like to pay for your exam now, or choose to pay for it later. You’ll be transferred to the Pearson VUE website – you won’t need to log on again. You’ll choose the exam you want to sit and go through the payment process (unless you have chosen to pay later). Once this has been processed you’ll be transferred back to MY CIMA. 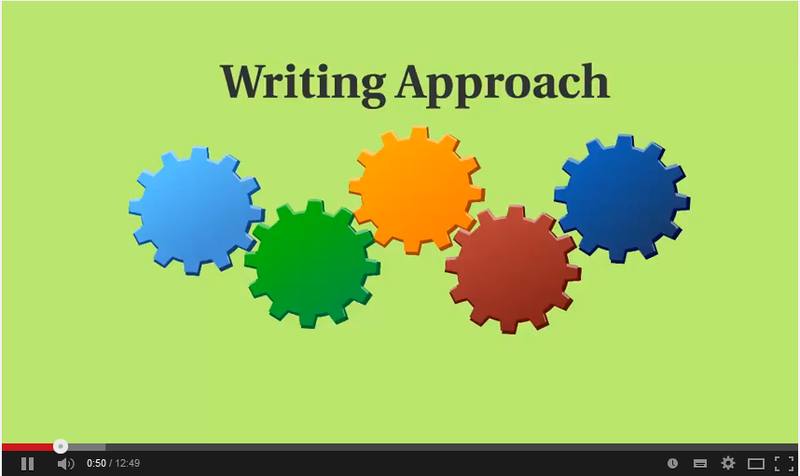 Yeah your are done with the CIMA Exam Schedule process , Best wishes with your exams. You can also schedule an exam over the phone by calling the CIMA contact centre on +44 (0)20 8849 2251 and they’ll request your details then transfer you to Pearson VUE who will schedule your exam and take your payment (unless you have chosen to pay later). Once you have scheduled your exam - whether online or by phone - you will receive a confirmation email from Pearson VUE. Do anti–capitalist writings shape the sentiments of the global financial community? CIMA announced that it closed CIMASphere Community from January 2015 and CIMA asked students to join the below platforms. As part of CIMA's continuous effort to find ways to support our members and students better, we will be focusing our effort on the CIMA LinkedIn group as a discussion and networking platform for members. CIMAconnect will be the study support and social platform for students. 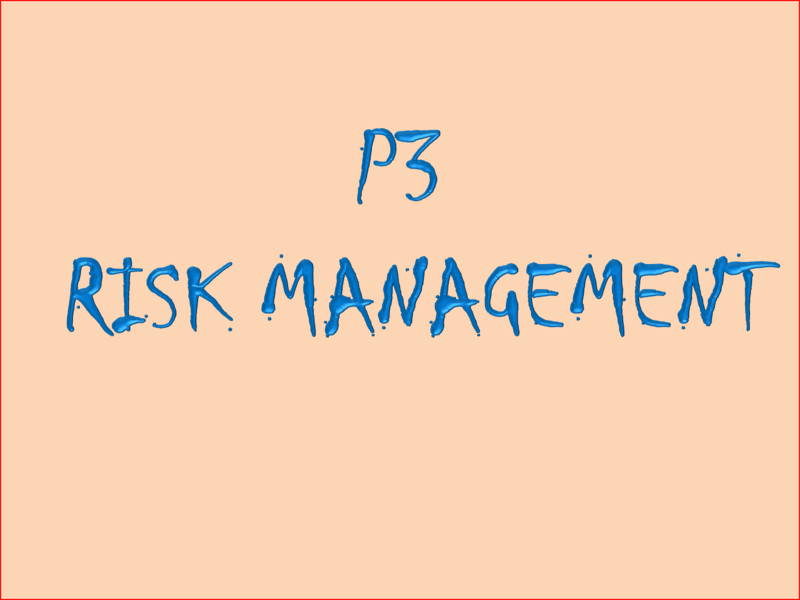 This year CIMA have made big changes to the structure of their syllabus. 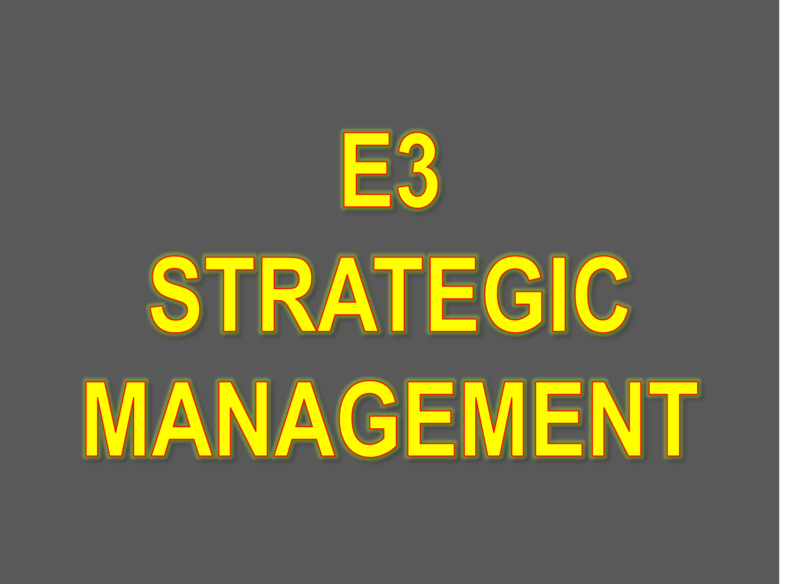 One of those changes has been the introduction of a Strategic Level Case Study Exam. 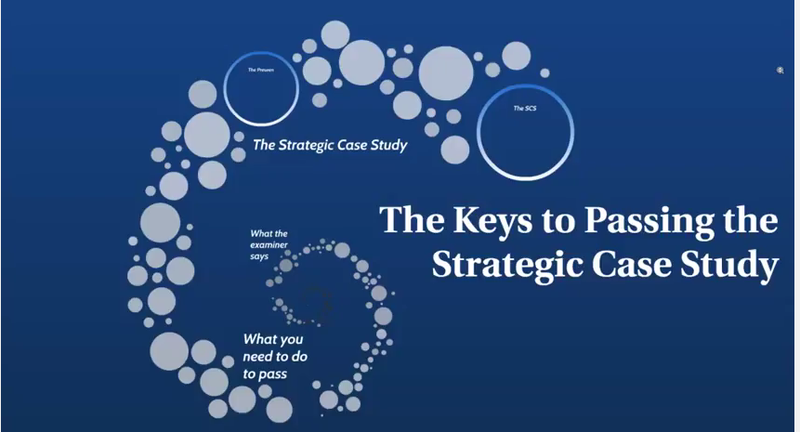 To prepare you for this exam, check this two CIMA Strategic case study texts that are specifically designed to help you pass this exam. 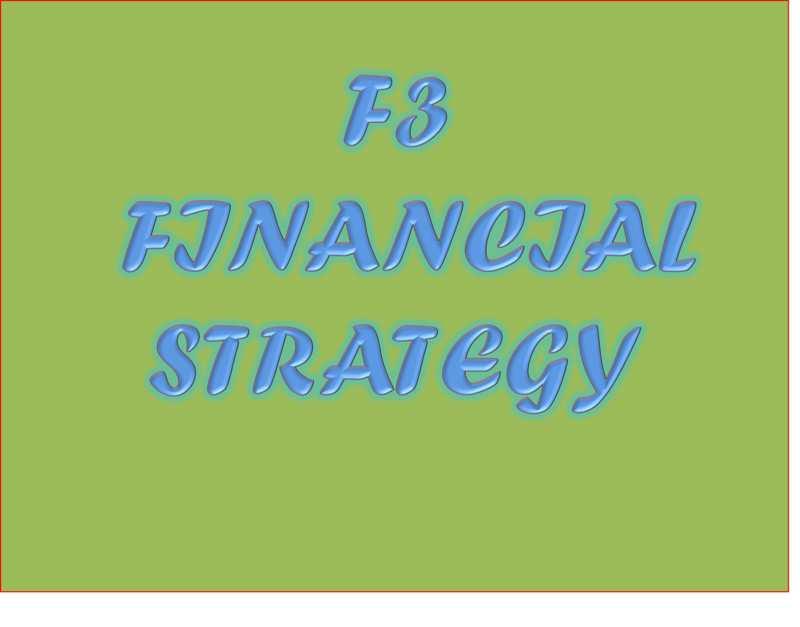 In each textbook also included over 35 blank proformas that are designed to help you in your SCS preseen analysis, from SWOT analysis to financial objectives. Holding two forms of ID, PQ magazine pressed the buzzer at the Pearson Vue exam centre in High Holborn recently. Inside waiting for us was Damien Fletcher from Pearson Vue, Vienn Chan from CIMA and centre manager Chris Mason. From January, CIMA students will no longer have to turn up to a big, soulless hall. The move to computer-based testing means candidates can sit their tests anywhere, any place, any time! So what exactly will that be like? We decided to find out. First things first – we showed the booking in desk our two forms of ID. One has to be a photo ID – a driving licence or passport. The other has to have a signature on it (credit or debit cards are fine). Interestingly, Vienn struggled to find two pieces of ID that were up-to-date. So there’s a lesson there straight away – the ID has to be ‘in date’. CIMA students will then be asked what test they are booked in for and be given a set of Pearson’s Professional exam rules. Top of that list is ‘no personal items in the testing room’! As well as mobile phones, that includes wallets, hats, bags, coats, books and notes (Pearson has lockers at every centre for exam sitters’ personal effects). After checking that your ID is ‘in date’ there will be a visual check against the photo. Your name will then be checked to ensure that it is on the system and a photo is captured. Next up is a digital signature on the Epad ink. There was also a palm capture camera on the desk, but CIMA doesn’t ask for this – yet! Once you are all signed in then you put all your stuff in the locker. The only things you will have with you at this point are a locker key, your ID and a calculator. You will then be shown to the testing room. Each room has a invigilator who will check your ID and ask you again to make sure you have emptied your pockets. The invigilator sits at a station which has CCTV cameras. They also have plenty of tissues. Your test will also be put into an unscheduled break mode if you do need the toilet, but remember the clock keeps on ticking. Interestingly, candidates will be offered earplugs. Centre manger Chris pointed out that the testing rooms are not totally silent environment; people come in and out of the room while you are taking the test. If you want to use earplugs then it may be an idea to practice with them beforehand. The whole process seemed really calm and controlled, and a big plus of using one of Pearson Vue’s 5,000 centres is they are standardised around the world – whether you are in London or Lahore. They are temperature controlled at 22 degrees; the lighting has a standard setting; and there are clocks on every wall. The centres open at 8.15am and closes at 4.15pm. 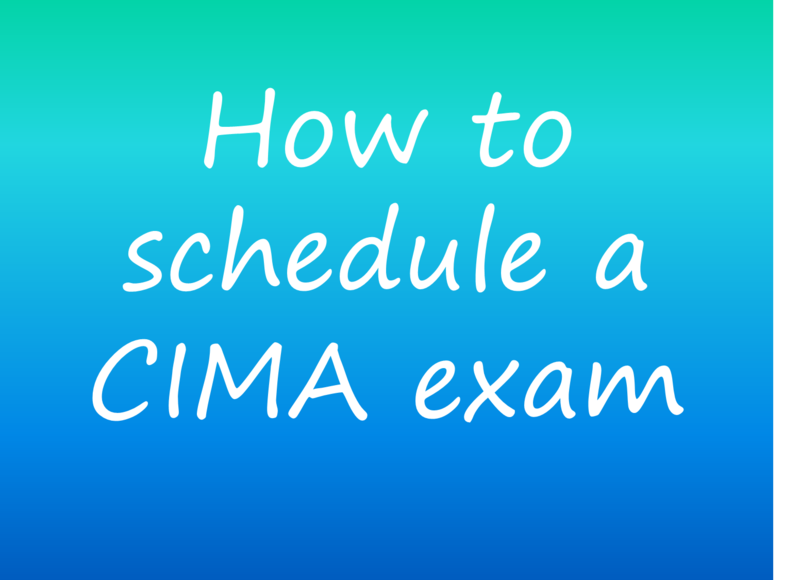 That means if you are booking a CIMA test the last time you can book is 2.45pm. Once you have finished the test you have to raise your hand and your result will be waiting for you at the front desk. When we were there two CIMA candidates were sitting exams, while another failed to turn up. PQ understands that students will also be able to sit exams at Kaplan and BPP, as both have applied to become Pearson Vue exam centres – as have other CIMA Learning Partners. Pearson Vue said that outside the UK and North America test centres can vary in terms of layout and internal environment, with the aim of providing the best test experience for candidates.